one of the most collectible of Indians. 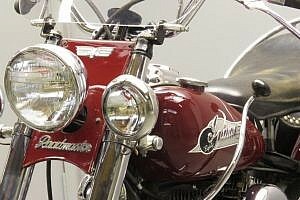 The now-legendary V-twin Indian Chief motorcycle emerged as Indian’s flagship model after World War II, and the popular design relegated the American company’s four-cylinder and smaller V-twin models to history. The Indian Chief motorcycle was similar to prewar big Indians; the engine remained a 74-cubic-inch flathead to be changed by a 80-cubic-inch in the final years. 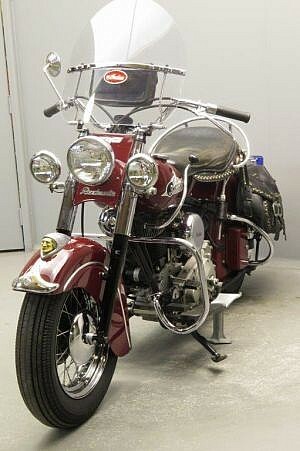 As always, “Indian Red” was a popular color choice, though others, including two-tones were available. Modern telescopic forks replaced the girder front end in 1950, when the 74-cubic-inch V-twin was enlarged to 80 cubic inches. Though the rear still featured the same plunger-type suspension, spring rates were softened. These changes resulted in an even smoother ride than before, a notable selling feature of the postwar models. 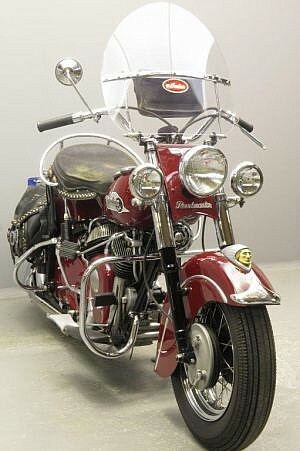 Though Indian had enjoyed a long and rich history, financial problems beset the company in the early 1950s. Attempts at postwar singles and vertical twins intended to compete with the machines from Europe ultimately proved unsuccessful, and their development had cost the company dearly. 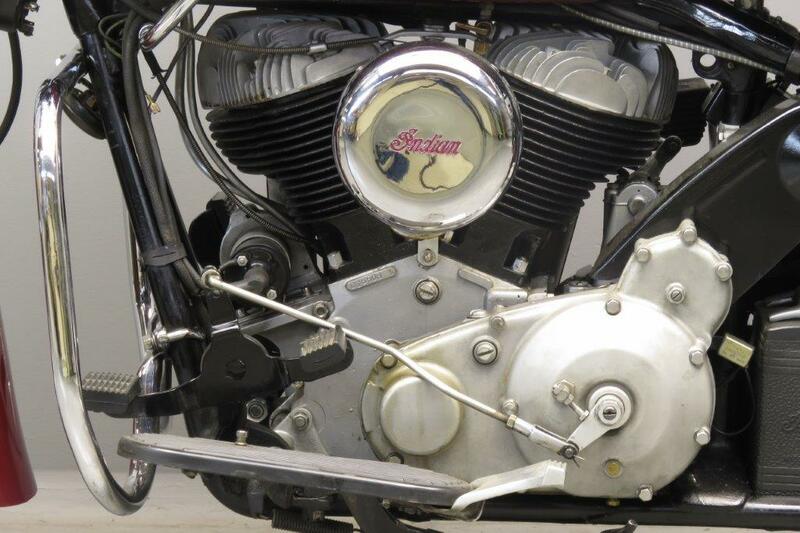 Despite the trouble, the V-twin Chief had seen a fair number of updates during the postwar years. 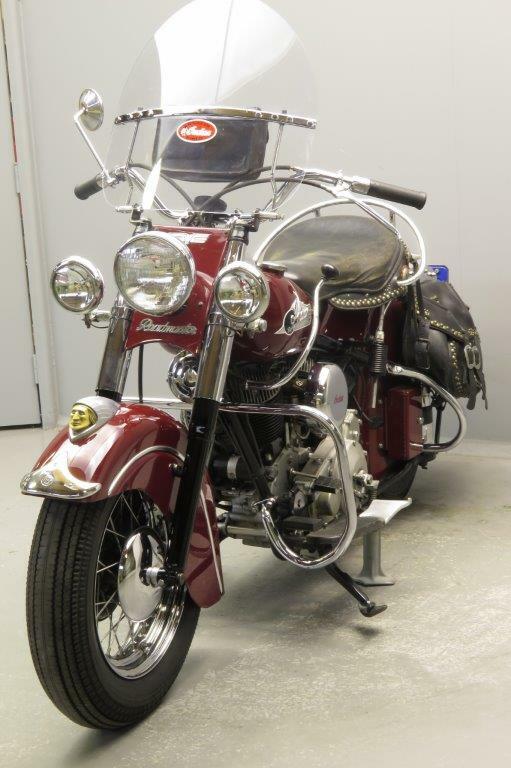 In 1952, the front fender was trimmed to a thinner contour and a cowling was added on top of the forks. 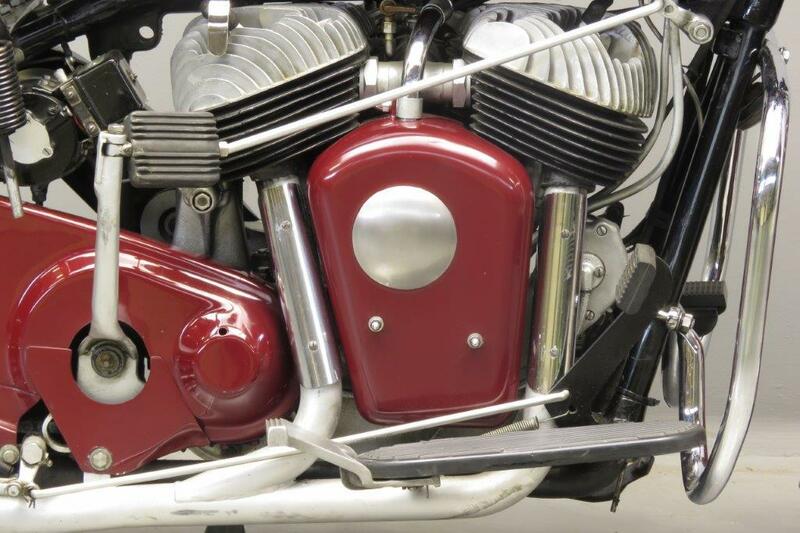 The Chief’s flathead V-twin was considered somewhat archaic compared to Harley-Davidson’s overhead-valve engines, but the Indian used a more modern ignition system. 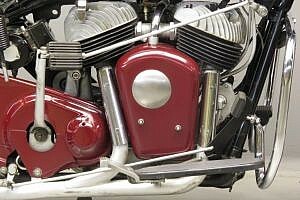 Whereas Harleys had a single coil that fired both plugs at the same time once per revolution (one plug firing needlessly), Indian used an automotive-type distributor that fired each plug only on its cylinder’s power stroke. This was hardly an overwhelming advantage, however. According to factory records, 700 Chiefs were built in 1952, while only 600 were completed in 1953. 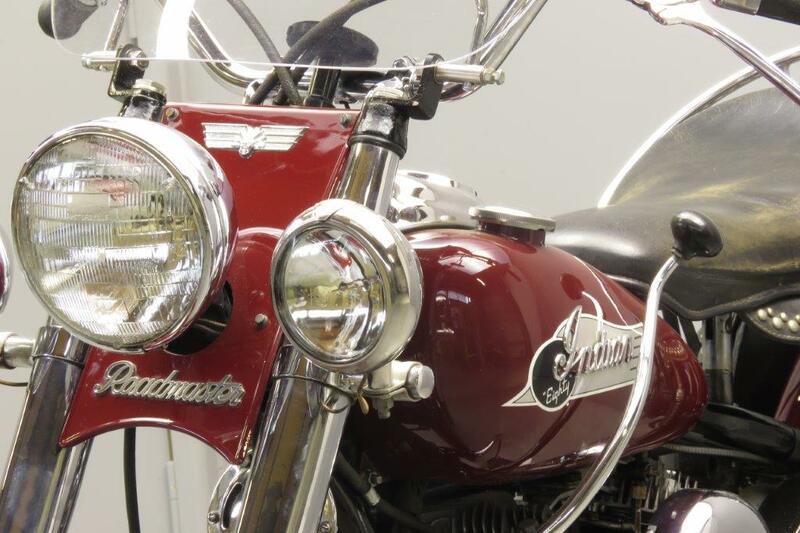 After that, the Chief — and Indian along with it — was relegated to history, leaving Harley-Davidson the sole surviving American motorcycle manufacturer. 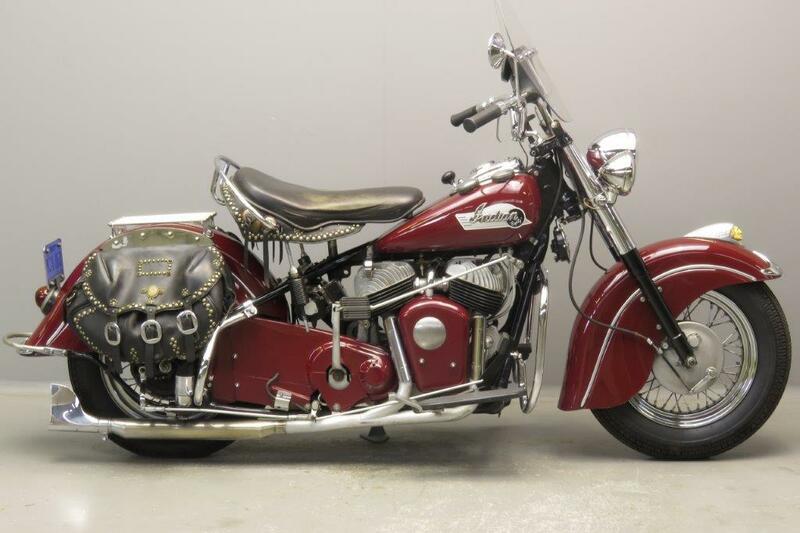 This 1953 Indian Chief motorcycle represents both the crowning achievement and the sorrowful end of a company that gave generations of motorcyclists some of their fondest memories. The 1953 Indian Chief motorcycle, big, heavy, bedecked with bodywork, was the great bike on which a proud American company rode into the sunset. 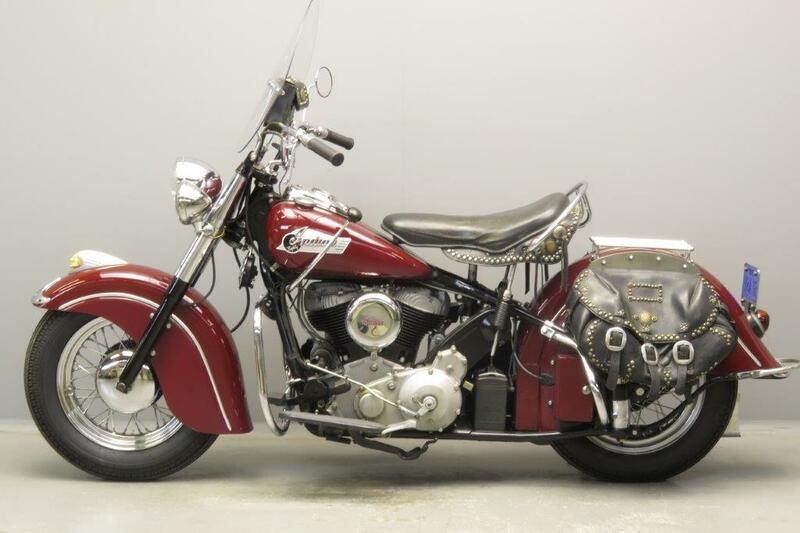 As one of the very last Indian motorcycles, the 1953 Chief is among of the most collectable bikes from the great American brand.